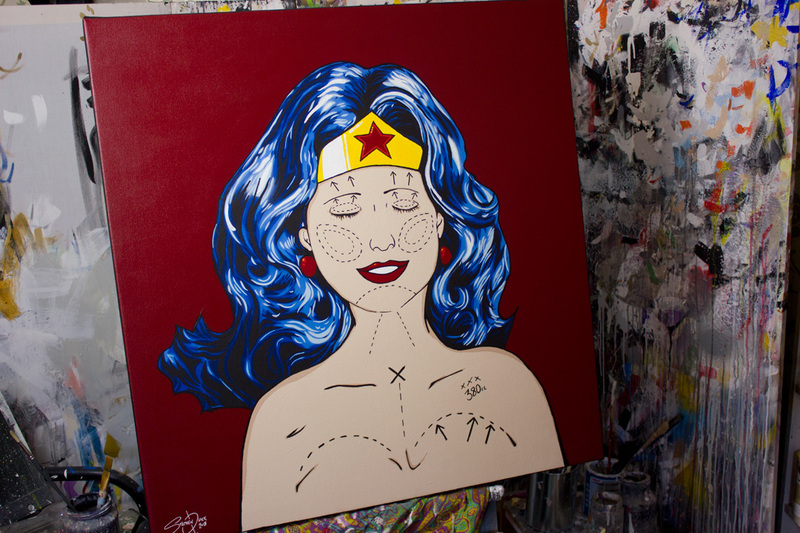 Original Wonder Woman painting entitled ''Make Me Wonderful' . 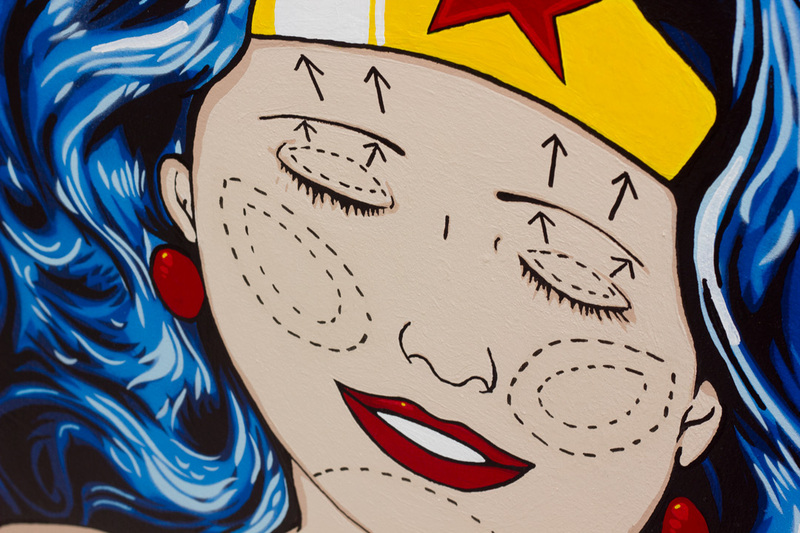 The painting a commentary on the cosmetic / plastic surgery culture, where even the embodiment of perfection is tested and under pressure to be better and more 'beautifu'. 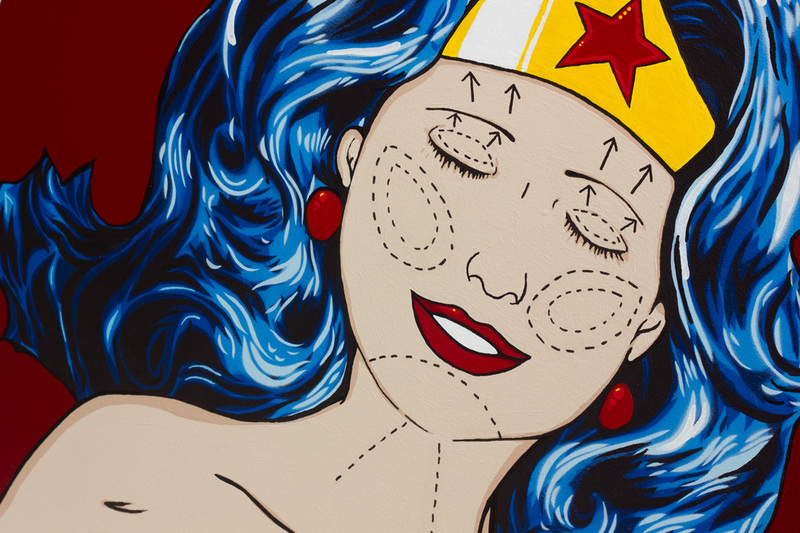 The painting has Wonder Woman naked on the operating table, drawn all over her body the styles and mark made by a surgeon before the cosmetic surgery ... a eye lift, a brown lift, cheek implants, chin alterations, neck tightened and a book job to even them up by 380cc. 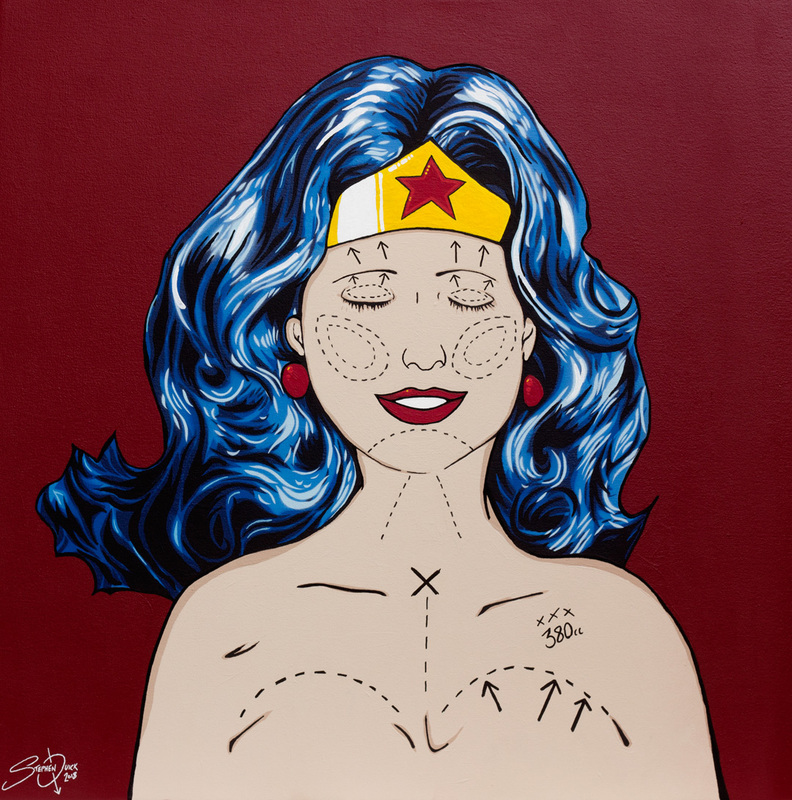 The painting is in high-grade acrylic paint amd spray paint, varnished with a matt spray varnish, on a pure cotton box canvas. The canvas measures 34 inches x 34 inches on a box canvas of 2 inches deep, the sides of the canvas are painted with a wrap around effect, no nails or staples and ready to hang. 34" x 34" x 2"